April 13, 2010 - Boeing today announced that, as part of the Raytheon team awarded the space-based Global Positioning System (GPS) advanced control segment program (OCX), it will develop portions of the U.S. Air Force's new ground control segment. GPS OCX will provide more secure, accurate, and precise navigation around the world for military, humanitarian and commercial applications. The development contract, awarded recently by the Air Force Space and Missile Systems Center's GPS Wing, is valued at more than $880 million over six years, including five option years for sustainment. Boeing has provided ground operations sustainment support for the current GPS II fleet for nearly a decade. Under GPS OCX, the company will provide infrastructure, development of the ground systems, and continued 24/7 operational and sustainment support for the current and future GPS satellite systems. The company will install hardware and software at GPS control stations at Schriever Air Force Base in Colorado and Vandenberg Air Force Base in California. "This award demonstrates the Air Force's confidence in our solution," said Sparky Olsen, director of Boeing Intelligence and Security Systems Mission Operations. "We will deliver a solution that provides enhanced operational capabilities to warfighters and other users while demonstrating Boeing's efficiencies and innovation with responsive operations and sustainment." GPS OCX will replace the current GPS Operational Control System while maintaining backward compatibility with the Block IIR and IIR-M constellation, providing command and control of the new GPS IIF and GPS III families of satellites, and enabling new, modernized signal capabilities. A prime contractor for GPS satellites for more than three decades, Boeing is currently under contract to build 12 GPS Block IIF satellites. GPS IIF is the product of Boeing's experience with 39 successful satellites from the GPS Block I and Block II/IIA missions and more than 30 years of teamwork with the Air Force. 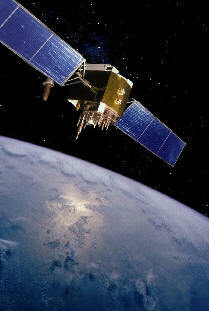 GPS IIF will form the core of the GPS constellation for many years to come.